This rich, chocolate filled Fridge Cake is a simple, no bake dessert with a ton of flavour and a sweet, crunchy base. 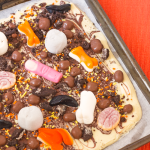 Kids and adults alike will love making this fun cake! How is it the last week of April already? And how is it still raining and super cold in the UK?! I think we had Spring for about 2 days; meaning I could leave the house in something other than my thick coat… And now it’s horrible again. 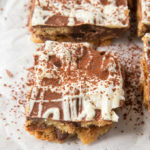 I was hoping that by making Spring recipes I might entice the sun out, but that hasn’t worked, so enter this Fridge Cake. I mean I don’t think it has a season as such, it’s scrumptious whatever the time of year, but still. 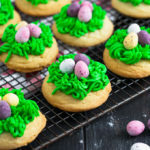 it’s not strictly a Spring recipe, so maybe this will work and encourage the UK to warm up??? It’s literally mad how fast this year is whizzing by though. By the time it warms up here, it will be Summer… I feel like I blinked and missed the first 4 months of the year. My best friend gets married in less than 5 months!!! And even though I keep thinking our wedding is ages away, I’m fairly sure I’m going to wake up one day soon and it will be April 2017 and we’ll have under a year to go! I seem to have no middle ground in my personality. I’m either so chilled out, I’m practically horizontal, or in a mad panic because everything must be done right this second and if it isn’t my whole life will be a disaster. I feel like “Yes, everything will happen when it’s meant to” about most things in life, but if someone suddenly said I had a job interview next week, I would panic so much and not sleep a wink. I think perhaps I feel relaxed when I’m in control and when I’m not… I freak out. Does that make me a control freak…? 😉 If I planned a job interview and booked it, I would be fine, utterly relaxed. It’s strange how the mind works! 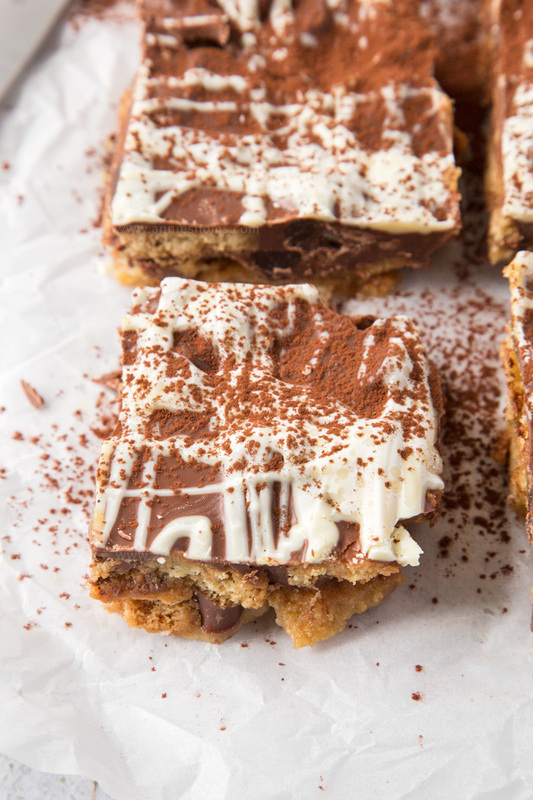 Anyway, this fridge cake recipe is almost jumping out of the screen at me, so I best tell you about it! It’s so easy, I feel almost like a fraud calling it a recipe. 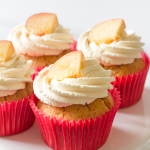 But sometimes, you need a fast, super easy recipe to hand and this is just that! I started off with a base of roughly broken up biscuits mixed with melted butter and golden syrup. The melted butter and syrup create this gorgeous, golden, sticky syrup that acts as the glue to keep the biscuits together. After pressing the base into a lined 8×8 inch square pan, I let it cool and set slightly, before sprinkling some dark chocolate chips over the biscuits and then covering everything in melted milk chocolate. After letting the milk chocolate sit for a few minutes, I then melted some white chocolate and drizzled it over the top of the milk chocolate to create this heavenly Triple Chocolate Fridge Cake. Because what can be better than dark, milk and white chocolate all together in one crunchy, creamy bite? Once all the chocolate is in the pan, you need to leave it to cool completely and start to set before covering the pan with cling film and putting it in the fridge to firm up completely. This will take a couple of hours. 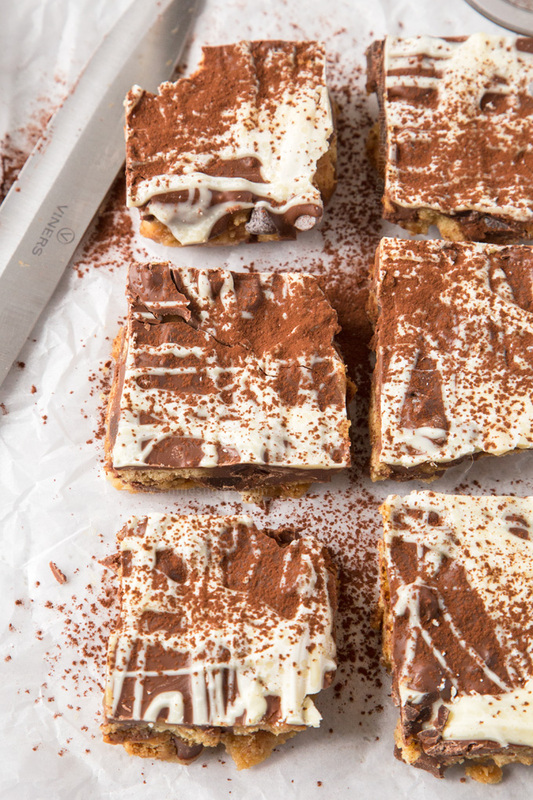 A couple of torturous, long hours where all you’ll want to do is cut into this fridge cake and devour it. I promise it’s worth the wait though! Once cool, all you have to do is slice it into small (haha, NO) or big (YES) slices before sinking your teeth in and enjoying. Easy, simple and fun. Enjoy! Grease and line an 8x8 inch square pan and leave to one side. I used Wilton Bake Easy and grease proof paper. Place butter and golden syrup into a small saucepan and place over a low heat, stirring until the butter is completely melted and combined. Place broken up digestive biscuits into a medium sized bowl and then pour the melted butter mixture over the biscuits. 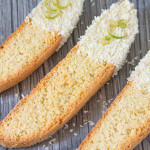 Stir with a wooden spoon until the biscuits are coated in the butter mixture. Tip into your prepared pan and press into an even layer with a spoon/your hands. It doesn't matter if it's not 100% neat, you'll be covering it in chocolate! Leave to cool and set slightly, around 20 minutes. Sprinkle the base with the dark chocolate chips and then place the milk chocolate into a large, heat proof bowl. Microwave in 20 second increments, stirring in between each one, until the chocolate is melted. Alternatively, you can place the bowl over a pan of simmering water and stir until the chocolate is melted. Pour melted chocolate all over the biscuit base and gently spread until the whole base is covered. Leave to set for 10 minutes before placing the white chocolate chips into another heat proof bowl and repeating the above microwave instructions until the chocolate is melted. Spoon the white chocolate over the milk chocolate layer, drizzling it up and down and across to create lines of chocolate. You can drizzle the chocolate in whatever pattern you wish, I just went with vertical lines as I like how they look! Leave to cool completely, before covering the pan with cling film and placing in the fridge to set completely, around 2 hours. Once set, transfer to a cutting board and slice into 9-12 bars. I find a warm knife cuts through the Fridge Cake better! Sprinkle with cocoa powder, if desired. Triple Chocolate Fridge Cake will keep in an airtight container, at room temperature for 4 days, or in the fridge for 5 days. I love fridge cakes, they’re super easy to make, and you can pretty much add whatever you want! 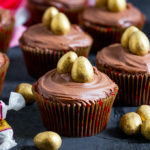 This triple chocolate one looks so delicious! 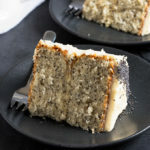 Sounds decadent and looks delish! 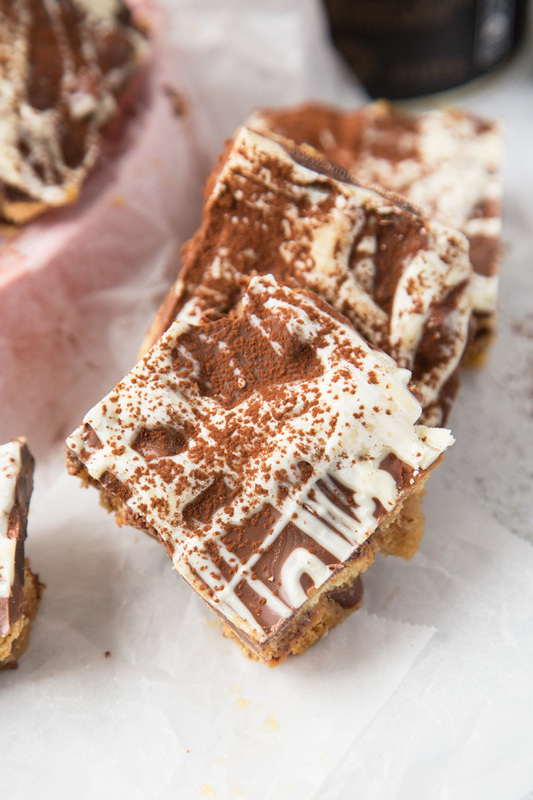 I’m so intrigued by this whole fridge cake concept, it’s definitely something I need to try! 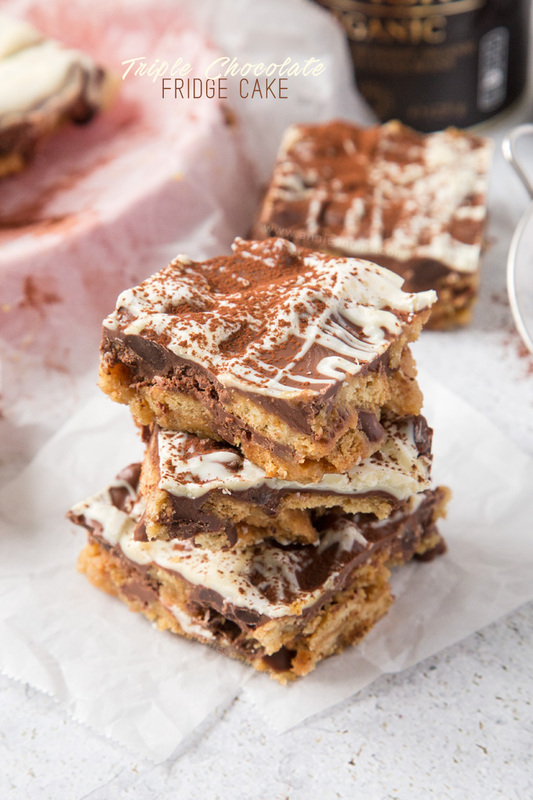 I love chocolate and this idea sounds amazing, i’ve never tried fridge cake! I’m not sure which is worse… a winter that never ends or a summer that never ends? I recently moved to McAllen, Texas (near the Gulf of Mexico) and we have no winter. It’s already hotter than blazes! 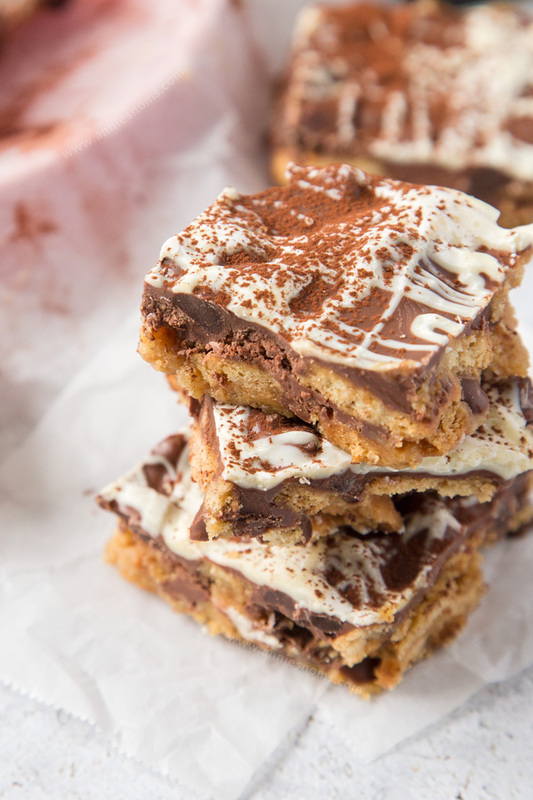 So, I’ve not made a fridge cake, but I’m all about chocolate, so this looks amazing! Looks delicious! 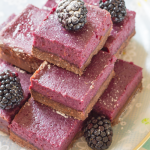 I’d love for you to share your no bake recipe at the #InspirationSpotlight feel free to join us. Can’t wait to try your recipe. Is it better with the graham crackers or digestive biscuits?